So by this time, you've checked the Quickstart and have a basic understanding of what happens in game. But you've got more questions. Good thing you came here! 1 How do I speak on the radio? 2 How do I talk in Out-of-Character Chat (OOC)? 3 I'm a traitor (or other antagonist), what do I do? 4 How do I open containers? 5 How do I loot people or put items onto them? 6 I was arrested, how do I remove handcuffs? 7 How do I buckle people into chairs? How do I unbuckle them? 8 Why is my space-to-throw hotkey not working? 9 Why am I so slow? 10 Why can't I breathe?/How do I put on internals? 11 Are there any handy shortcut buttons? 12 I come from a different server, and these hotkeys are super confusing. 13 What happens after I die? 14 Why isn't respawn doing anything? 15 What are medals? How do I earn them? 16 What is this XP thing? 17 What happened to LLJK2/LLJK1? 18 I can't connect to #RP1/#2 via the BYOND Hub, what's happening? 19 Everything on my screen is white/rainbow colors, what's going on? 22.1 How do I pee? 22.2 How do I get clean? 22.3 How do I sleep? 22.4 Where do I find food? 22.5 Where do I find water? 22.6 What if I need to leave for a while? 23 What do I do if my question isn't answered here? How do I speak on the radio? 145.9 ; or :3 No, really. varies :lh / :rh Speak into a radio held in your left or right hand respectively. varies :in You have to be within range or it won't work. varies N/A Range may still be a factor (radio in your inventory vs. on the floor). If you have a job-specific headset such as engineering, medical or security, one or more department-specific channels are available to you. N/A :s For cyborgs, the AI and people with a machine translator implant. Works even during a Solar Flare. varies :1 / :2 Available to the AI, AI shells and AI-controlled cyborgs. Each prefix controls one of the three radios, the settings of which can be manipulated with the Access Internal Radios panel of the mainframe itself. 144.7 N/A, tune in manually. In case PDA messaging is unavailable. The mainframe monitors 144.7 by default. This list is not complete (see Clothing for further information). If in doubt, simply examine your earpiece by right-clicking on it to get an overview of all supported frequencies. You can also press Y to bring up a list of available frequencies and then click on any of them to talk over the selected channel. How do I talk in Out-of-Character Chat (OOC)? Alt + C. Or just O if you have WASD mode on. Note however that for Goonstation #2, OOC is turned off during a round. This is because Goonstation #2 is, essentially, no-RP/RP-optional, meaning character roleplay is not expected from you, though any RP is welcomed. As such, you can directly ask people about game mechanics, freely talk about "rounds" and "game modes", discuss whatever shows you're watching or games you're playing, etc. in-game. This makes having OOC enabled redundant, and no one has to worry about "IC in OOC" or "OOC in IC" as with some other servers. However, just because there are no roleplay rules does not mean there are no rules. The above paragraph, however, only applies to Goonstation #2. On Goonstation RP#1, the Goon roleplaying server, OOC remains enabled during a round, and there are rules over what your character can say in-game and what you, a BYOND player, can say over OOC. For example, you can't use OOC to out the antagonist, if you die, you cannot yell at people in OOC to find your body, and if you can't find a way to ask about game mechanics in-character, you'll have to ask over mentorhelp or OOC. While you won't get banned for saying "round" instead of "shift" or whatever, other players will be upset over it. For more information about OOC and IC rules on the RP server, please see RP Rules. I'm a traitor (or other antagonist), what do I do? Remember that your objectives are just a suggestion. You can complete them if you want but it's fine to ignore your objectives completely and just murder people if you wish. However, it's probably best to adminhelp if you don't intend to do anything traitorous at all so that a new traitor can be appointed. How do I open containers? Hand-held containers: Drag the sprite to your character sprite. As mentioned further down, this is also how you loot other characters. Lockers and crates: Open and close by clicking on them. Standing on top of a locker while closing it will put you inside. Cigarette packs and pill bottles: Hold the item in one hand, click it with your other (empty) hand. Satchels: Special equipment that miners and botanists get. Drag an item (seed, fruit or ore) onto it and you will start pulling all items of that type adjacent to you into the satchel. Click the satchel to dump everything in it on your tile. Click a table to dump it out there, or a suitable machine (the mining fabricator, mainly) to fill it with the contents. Crates can be filled by dragging items on top of them, much like satchels. Sleepers, cryo chambers and genetic scanners accept people. Have one grabbed and click on the container to put them in, right-click it and select "Eject" to get them back out. The machines in artlab accept large artifacts. Drag the artifact to the machine to put it in, drag from the machine to an adjacent tile to pull the artifact back out. You, the machine and the artifact all have to be adjacent for this to work. How do I loot people or put items onto them? Drag their sprite onto yours, click the item you want to remove. To add an item to them, hold the item in your active hand and click on the slot which the item fits in. I was arrested, how do I remove handcuffs? Click the resist button and wait a minute or so (longer if you're laying down). You have to stay still while removing your handcuffs. If you're moved around, you'll be interrupted and have to start over! Other people can also remove them for you using the method in the question above. How do I buckle people into chairs? How do I unbuckle them? Drag their sprite onto the chair sprite. This will buckle them in. You can unbuckle them by clicking on the chair, or they can do so themselves. Why is my space-to-throw hotkey not working? This thread has what you need. Are you pulling a corpse or a container with one? Pulling corpses (or people who are lying down and not on help intent for that matter) slows you considerably. Are you wounded? That will slow you down. Having one or both your legs missing will also severely slow you down, if that wasn't obvious. Observing yourself will reveal if you're missing any limbs. Are you cold? That will slow you down a lot. Being cold is also often caused by being near a hull breach, and hull breaches tend to slow down the game overall. Are you wearing some kind of emergency suit, or not wearing shoes? That'll do it. Did you accidentally click the "walk" button? Did you accidentally click the "stand"/"rest" toggle in the bottom right? If you're in "rest" mode, you'll lie down and crawl at a snail's pace. Click the "rest" button again to set yourself to "stand" and walk like normal. Why can't I breathe?/How do I put on internals? A breath mask or gas mask / . Click on your backpack to open up its inventory. Click on the box's sprite to put it in your hand. Click on the box to access its inventory. Click on the hand slot that doesn't have the box to switch to the other hand. Click on the breath mask to put it in your hand. Gas masks / are found in various closets scattered about maintenance tunnels, dark areas with unadorned floors and accessible via doors labelled "maintenance access". Some sort of tank of air or oxygen, frequently in form of an emergency oxygen tank , gas tank (oxygen) , or gas tank (air mix) . If you're lucky, you might have an emergency oxygen tank in your box . You can extract from the box in the same way you extracted the breath mask. Look in the Arrivals area for any closets, mini-closests, etc. that might have oxygen tanks. If you're lucky, someone might have opened EVA, in which case you can simply walk up to the tank dispenser , click on it to open up its interface, click on the "Dispense" link right of the part that says "Oxygen", and then click on the oxygen tank to pick it up. If you have access to maintenance areas (that is, you can go through doors marked "maintenance access"), you can find air tanks in emergency oxygen closets . Goonstation's version of maintenance is, thankfully, much less confusing than codebases, but you can still get lost if you're new. Equip your breath mask or gas mask / by clicking on the mask slot while the mask is in your active hand. The exact appearance depends on your HUD style, but each style uses a fairly similar icon. Make sure you're, at the very least, holding your air tank .in one of your hands. Turn on the Toggle Tank Valve [name of air tank] button in the top right. If you've set up your mask correctly, it should change from to Again, exact appearance depends on your HUD style choice, but the icon is always either in the top left or middle right. You can click on the Toggle Tank Valve [name of air tank] button again to disconnect the air if you think you've found an air with a breathable atmosphere, after which you can put all this stuff away. If you encounter an airless environment again, you'll need to bring out your internals and configure them once more. Are there any handy shortcut buttons? For a list ingame, use the 'Hotkeys' command in the command bar. ALT + C Speak in OOC. ALT + L Speak in LOOC (Local OOC). ALT + Click Examines object. CTRL + Click Pull object. CTRL + SHIFT + ALT + Click Displays all the objects on the selected tile on the right-hand infobox. The objects can be interacted like normally: picked up, examined, etc. Page Up or Middle Click Change your active hand. Page Down Uses item in active hand as if you clicked on it. Home Drops item in your active hand. Space + Click Throw item. CTRL + P Toggle point mode. Move the mouse cursor over an object and click to point at it. Numbers 1-4 Selects your intent: Help, Disarm, Grab, Harm respectively. Number 5-0 Selects your targeted body part: Head, Chest, Left Arm, Right Arm, Right Leg, Left Leg, respectively. = Cycles between Resting and Standing mode. I J K L Turn your character's sprite to face north, west, south, and east, respectively. CTRL + Up and CTRL + Down Scroll through command history. Highlight the command bar first. Y Bring up a list of radio channels currently accessible, select one to speak into. CTRL + Click Open closed door / close open door, Turn on APC / turn off APC, Activate / Deactivate Turrets (Turret deactivation control). SHIFT + Click Bolt / unbolt door, Set turrets control to Lethal / Set turrets control to Stun (Turret deactivation control). 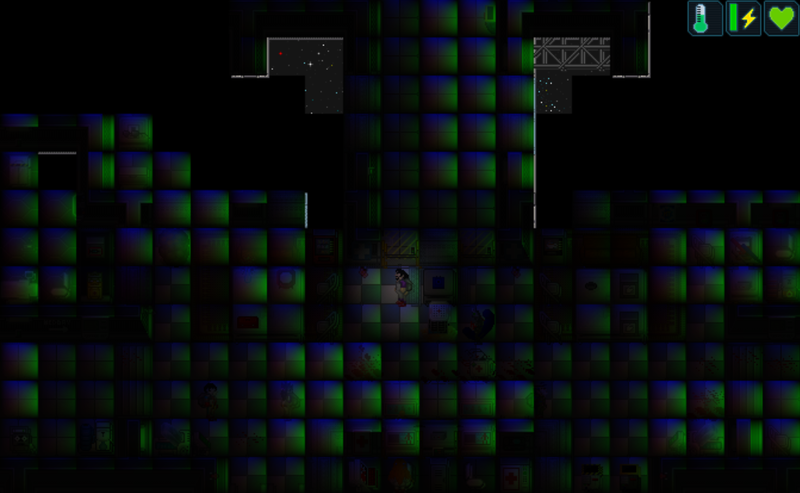 SPACE + Click Electrify door for 30 seconds. Numbers 1-3 Selects your item slots respectively (WASD only). Number 4 Deselects your active item slot (WASD only). CTRL + B Use the *birdwell emote. An AZERTY compatibility mode can be activated by using the aptly-named Toggle AZERTY verb. If WASD mode was already set, you have to disable and then re-enable it before you can use the new layout. W A S D Move up, left, down and right respectively. Z Q S D The AZERTY equivalent. E Switch your active hand. C Uses item in active hand as if you clicked on it. V Equip the item in your activate hand if possible. Identical to the HUD button. Tab Switches your keyboard input's focus to the command bar. Enter (twice) Switches your keyboard input's focus to the game. B Point shortcut. Hold down and release B over an object to point at it. Q Drop item in active hand. ALT + S Juggle items, honk. Equivalent to the *spin/*juggle emotes. All of these can also be done via the Say command or hothey. It's just like talking aloud in general, but instead of entering say "words or such, you do say "*emote. In fact, this is pretty much the only way to do the loads and loads of other emotes that don't have keyboard shortcuts, like *give, *slap, and, of course, *piss. Experiment! You'd surprised at the amount of body language coded in. I come from a different server, and these hotkeys are super confusing. Not to worry! In the top left, under the Game->Inferface menu, there's option labelled Use /TG/ style controls to turn on a Goonstation version of your beloved /tg/ hotkeys, as well as a Use /TG/ HUD Layout option to enable Goonstation version of /tg/'s HUD . For the most part, the original shortcuts are still there, but some are left out, particularly the numpad ones. Here is a list of the shortcuts that still remain. Tab Toggles WASD mode on/off. X Switch your active hand. Z Uses item in active hand as if you clicked on it. E Equip the item in your activate hand if possible. Identical to the HUD button. There's a chance you'll be revived if someone finds your body and drags it to the medbay before the chef finds it. In the meantime, you can type observe to keep your camera focused on one specific player or ghost to spectate the station freely. Why isn't respawn doing anything? Unfortunately, the respawn command only works if an admin has enabled respawning. This rarely occurs, and when it does, it's usually done as an act of mercy during an extra-deadly admin-held special event or as relief/"we're sorry for the inconvenience"-present when the admins need to delay roundend to settle player conflicts. Fortunately, if it has been enabled, you just have to use the command, which will put you back at the welcome screen and allow you to press the Declare Ready button to rejoin the round. What are medals? How do I earn them? Achievements! They're basically Goonstation's way of rewarding you for exploring content and recognizing the progress you've made in SS13. Most of the time, it's just a nice little green notification to everyone on the server, but some medals will reward you (purely cosmetic) skins! You can check these out whenever you're in-game (if it's pre-round or haven't joined the round, it just won't work) through Claim Reward in the Commands tab. To check out which medals you've earned and when you earned, login into this page here and scroll down. You can also enter the Medals command in-game to quickly see which medals you have. Unfortunately, the exact means of earning medals is considered Secret content, so they won't be on this wiki! That doesn't mean you can't look the code for them though, or there isn't a certain Something Awful thread that can tell you the exact means of earning these medals. And discussing medals in general is allowed, just not revealing how to earn them. What is this XP thing? A out-of-game rewards system that gives you XP for, basically, doing your Job (or at least certain parts of it). For example, you'll earn Janitor XP if you clean up pools of puke and blood as a Janitor and only as Janitor. If you do it as a Medical Doctor or Scientist, you won't earn Janitor XP, even though both jobs regularly involve dealing and working with/in messes. Earning XP raises your Job level, and at certain job levels, you unlock cosmetic, quality-of-life-improving, and/or just plain silly rewards. You can see your Job XP and Job Levels and redeem the associated rewards via the Check Job Rewards command in the Commands tab. Right now, XP is very, very in-progress and only half-implemented for Janitor, but we can expect more rewards and XP systems for other jobs to be added. Don't expect skill trees or anything too game-changing, though. There's also public leaderboard for the amount of XP earned as Janitor. It has absolutely no effect on gameplay whatsoever, but if you ever felt a burning need to know who's spent more time clicking buttons and watching numbers go up than you have, that is your page. In case you're wondering, LLJK stands for Leet Like Jeff K, some weird, silly in-joke from the Something Awful forums. I can't connect to #RP1/#2 via the BYOND Hub, what's happening? Click on the server links this wiki's Main Page or Goonhub.com. Run BYOND, and click on the Open... button in the top right above this list of games. Add either byond://goon1.goonhub.com:26100/ for Goon RP#1 or byond://goon2.goonhub.com:26200/ for Goon #2 for server/port identifier and click Ok.
Everything on my screen is white/rainbow colors, what's going on? If you can see icons but everything outside of arrivals is covered in white squares, click this link for instructions. If you can't see any icons/can only see your HUD and everything else is a white screen, see this forum thread for instructions. If everything looks like it's covered in rainbows, update BYOND. Updating your Direct X will also help resolve this issue, go here to Microsoft's website. If you are on the escape shuttle and all you can see is the wormhole background, update to the latest version of BYOND. If anything on your screen is funky, UPDATE TO THE LATEST BETA VERSION OF BYOND. Due to bugs currently in the movement system, it sometimes breaks completely, not allowing you to move at all or constantly moving you in one direction. If you can't move you have to press tab twice to switch control schemes twice, this fixes the issue usually. If you keep moving in one direction you fix it by using the controls to move in the direction you're moving in. This is due to the fact that you have tooltips turned on. To fix this you have to turn off tooltips in your character creation menu. These are a few common questions asked on the RP1 server. Go to one of the Toilets, stand over it, and use the *pee emote (say "*pee). How do I get clean? You can restore your hygiene by washing your hands in a sink or taking a shower — click the showerhead to turn it off and stand under it for a bit. Go to a bed, lay down in it by toggling the "Stand/Rest" button to "Rest", and then type sleep or use the "sleep in" verb under the Local tab. You can wake up by toggling back to "Stand", though it will take you a little while to wake up. Where do I find food? You can buy food from the various vending machines, get fresh food from Hydroponics, or see if the Chef has cooked up anything at the Bar. Where do I find water? You can buy drinks and bottled water from vending machines, get water from water coolers, or get some drinks at the Bar. Keep in mind, alcoholic drinks and coffee don't hydrate you! What if I need to leave for a while? Most of the maps have a Cryosleep Unit/Industrial Cryogenics Unit; if you stand in front of it and click it, you'll get the option to go into storage. You can't leave until 15 minutes have passed, though. Use the mentorhelp command in-game or press F3. Mentors are community volunteers who know a lot and are happy to share their knowledge. If you run across a question in game, you can always use the mentorhelp command, and if a mentor or admin is on you can expect a quick and efficient answer. Mentorhelps also show up in the admin as well as mentor IRC, so it's worth asking even if there are no mentors online as someone might see it and answer. Do not discuss anything identifying (such as your name or where you are in-game) with your mentor. This is considered metagaming and is frowned upon. Acting on information about the current round gained via mentorhelp (such as the identity of antagonists) is not allowed. Also please do not mentorhelp questions about rules, like "Is it ok to kill this guy", Questions about whether something was valid, like "This borg killed me, is this ok? ", questions about secret chems other than general hint requests, or questions unrelated to the game. For more details, see Mentorhelp. This page was last modified on 30 March 2019, at 03:43.